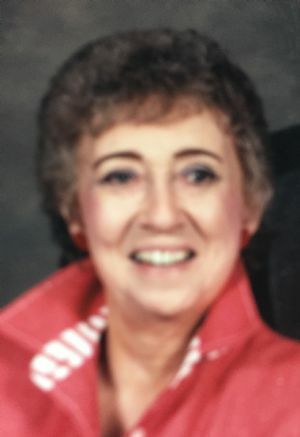 Carla E. Searl, age 88, of Kaukauna, WI, passed away peacefully on Tuesday, April 2, 2019 at St. Paul Elder Services in Kaukauna. Carla was born on September 29, 1930 in Rosholt, WI, the daughter of Morris and Edna (Berge) Stenerson. She graduated from high school in Rosholt, and in 1954 married Donald Searl, who passed away on November 13, 2003. Carla worked in the office at Speed Queen for many years. She was a past member of Grace Evangelical Lutheran Church in Ripon, WI, and was a member of the Ladies Aid group. She was also a member of the Red Hat Club, Ducks Unlimited, and the RACE club of Ripon. Carla enjoyed camping, traveling, and winters spent in Arizona with her husband, and cherished time with her family. Carla is survived by her children, Larry (Janet) Searl, Wanda (Terry) Buchholz, and Donald L. (Laurine) Searl; grandchildren, Tony (Tina) Searl, Luke (Rachel) Searl, Rina Searl, Brandon (Hannah) Buchholz, Kaitlynn Searl, Anne Buchholz, and Shelby Searl; great-grandchildren, Cameron Otto, Violett Searl, and Amara Buchholz; a brother, Eddie (Peggy) Stenerson; brothers-in-law, Frederick Reinhardt and Franklin Rozek; a sister-in-law, Phyllis Searl Anklam; and several nieces and nephews. She was preceded in death by her parents, Morris and Edna Stenerson; her husband, Donald P. Searl; a brother, Milton (Lillian) Stenerson; sisters, Bernice Reinhardt and Stella (Robert) Thompson; nephews, Donnie and Ronnie Thompson; in-laws, Owen and Loretta Searl; a brother-in-law, Wayne Searl; and a sister-in-law, Bonnie Rozek. A visitation for Carla will be held from 9:00 am until 11:00 am on Saturday, April 6, 2019 at Butzin-Marchant Funeral Home, 515 Mayparty Dr., Ripon, WI, 54971. Funeral services for Carla will be held at 11:00 am on Saturday, April 6, 2019 at Butzin-Marchant Funeral Home in Ripon, with Reverend Donald Deike officiating. A private family interment will take place later at Brandon Cemetery, Brandon, WI. A memorial for Carla is being established.